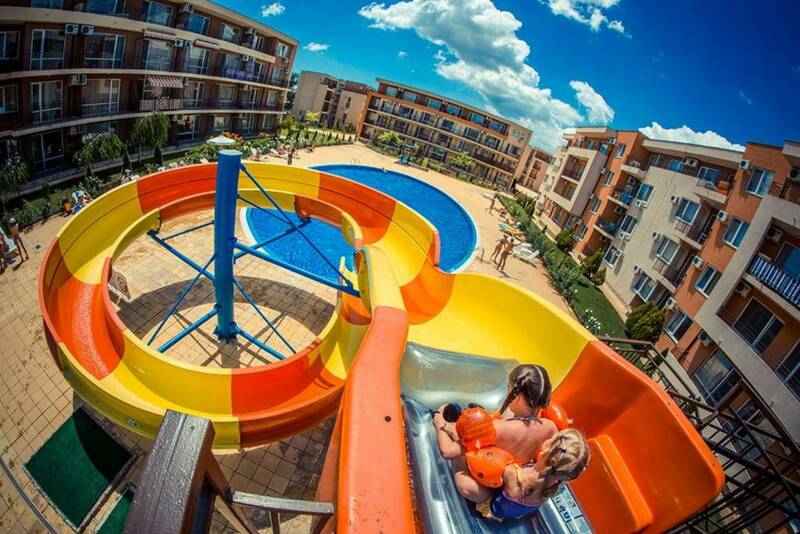 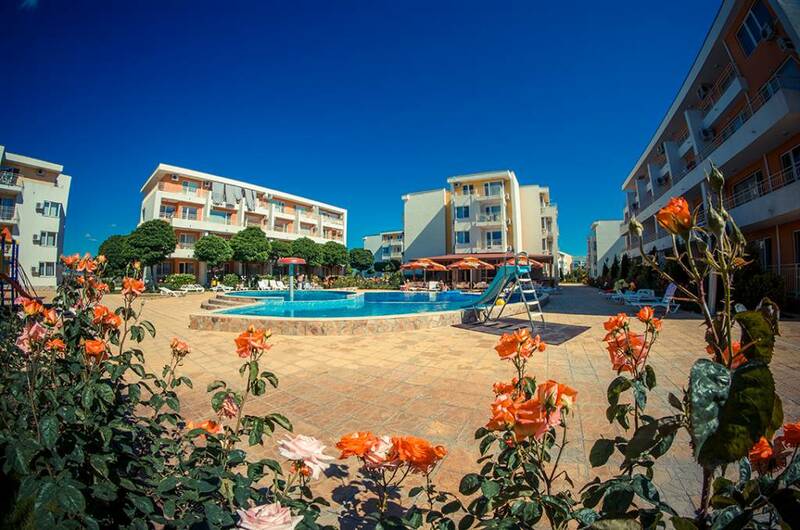 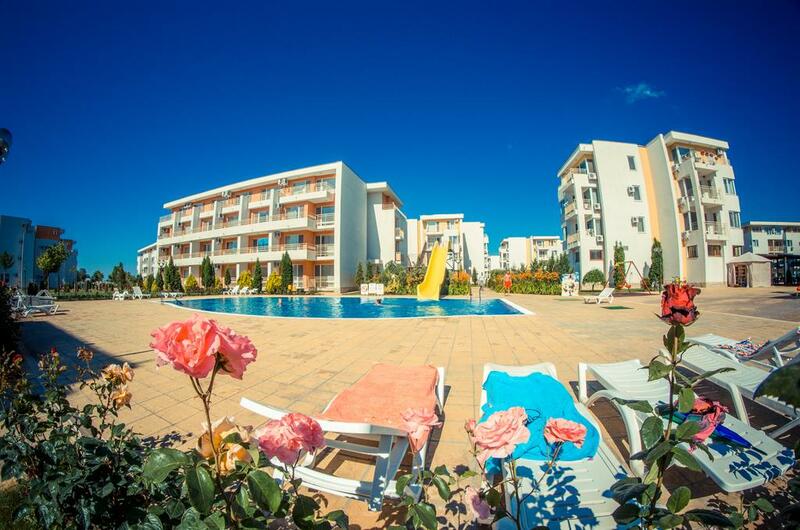 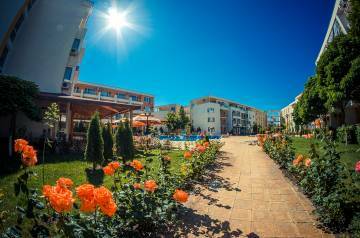 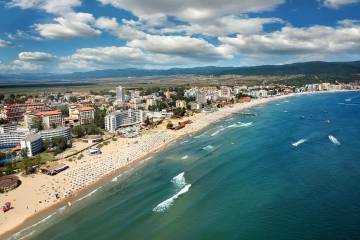 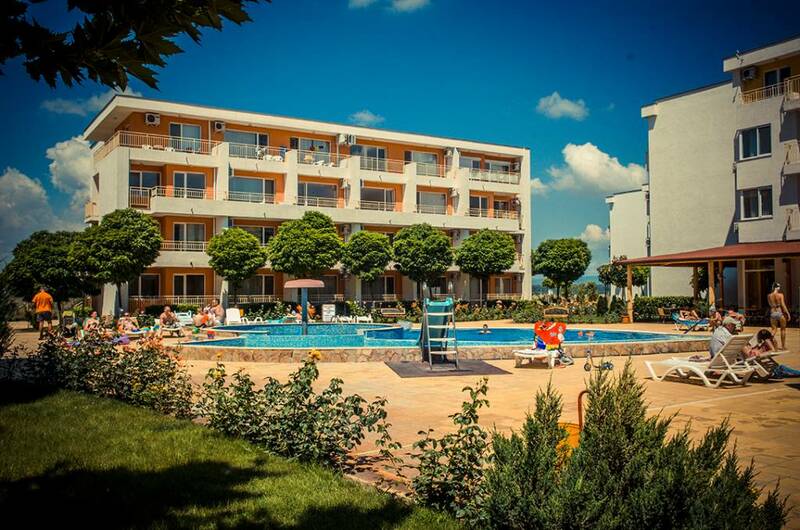 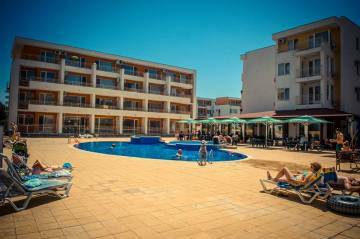 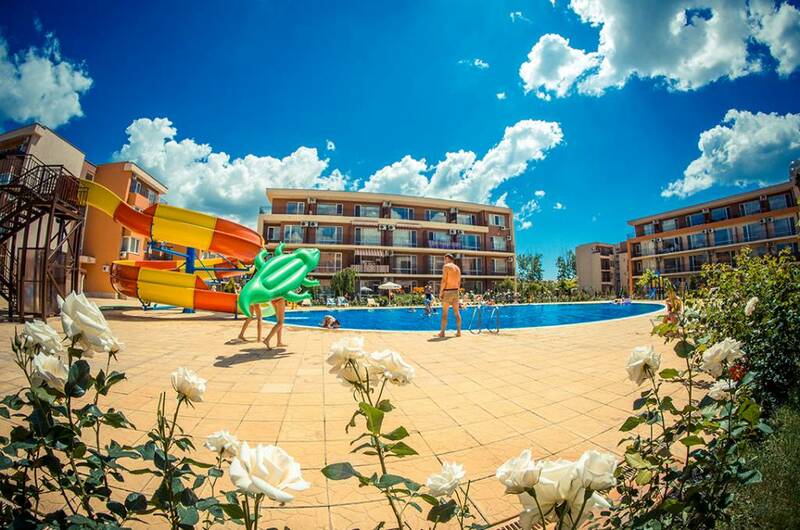 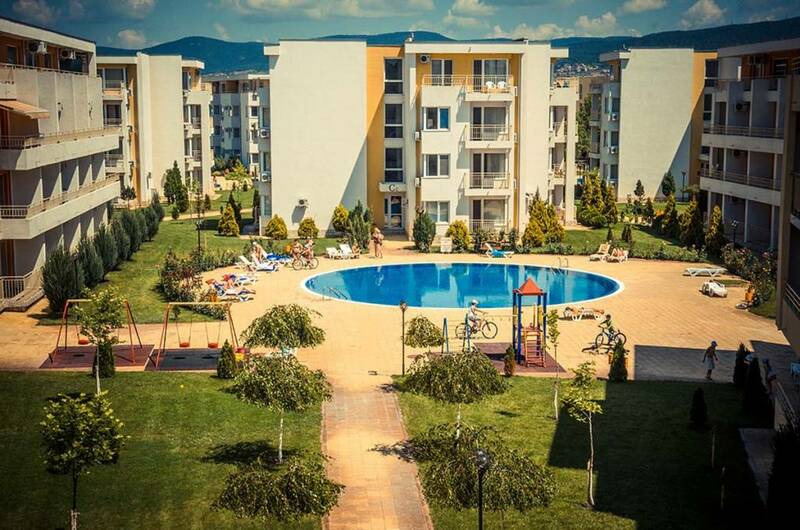 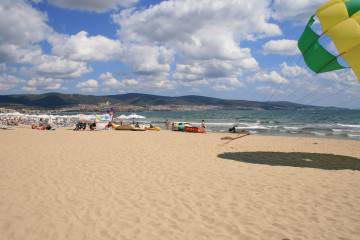 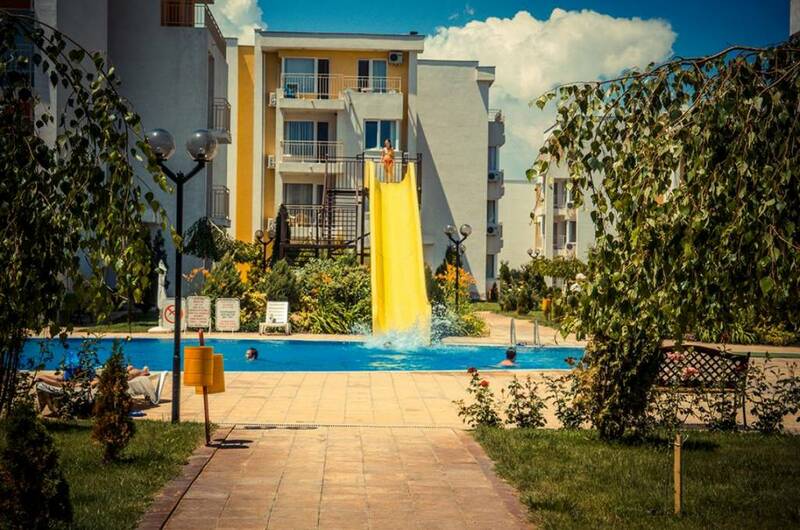 Nessebar Fort Club holiday complex*** is situated in the western part of Sunny Beach, next to the Aquapark, only a few hundred metres from the sandy beaches. 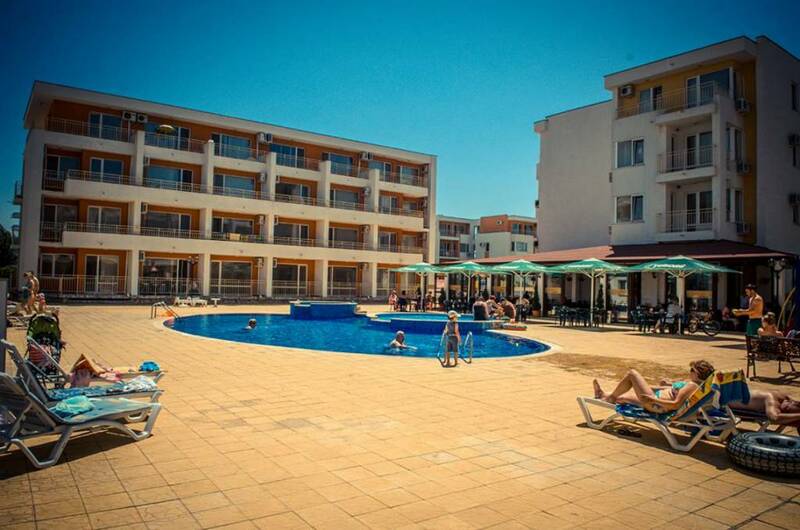 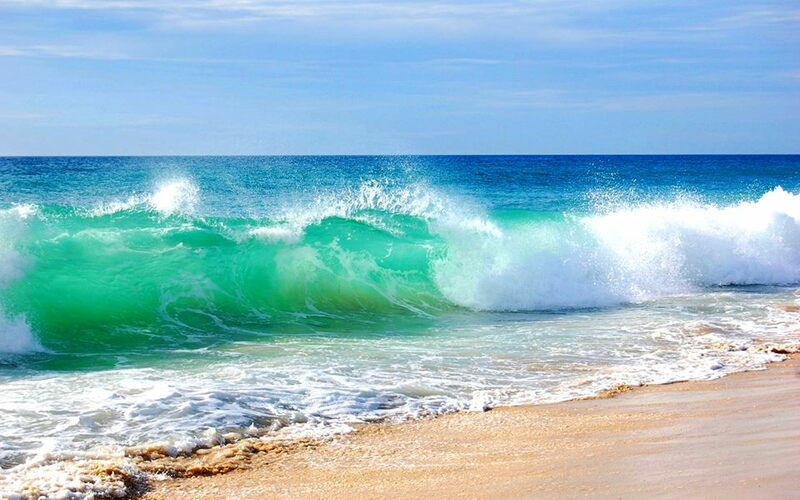 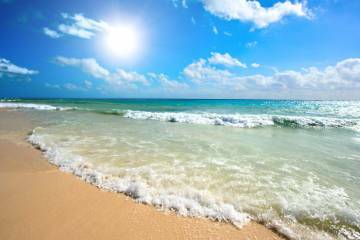 The complex is a place full of natural beauty and an exceptional combination of mountain and sea air. 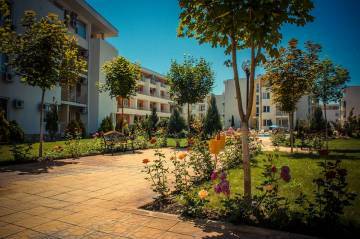 Garden area of the complex is colourfull combination of natural plants and trees over more than 15 000 m2. 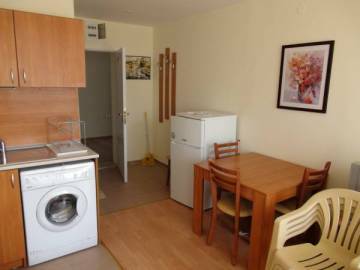 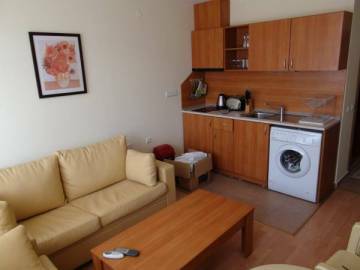 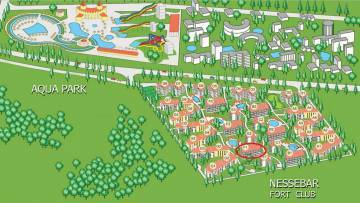 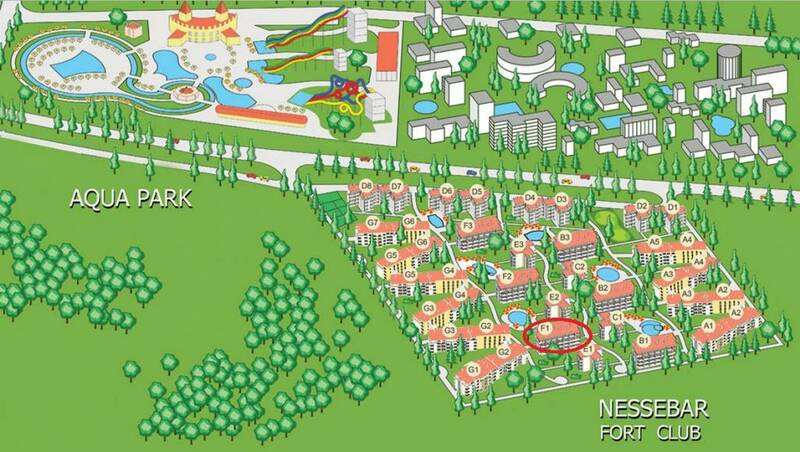 The complex is situated close to reserve "Kalinata" . 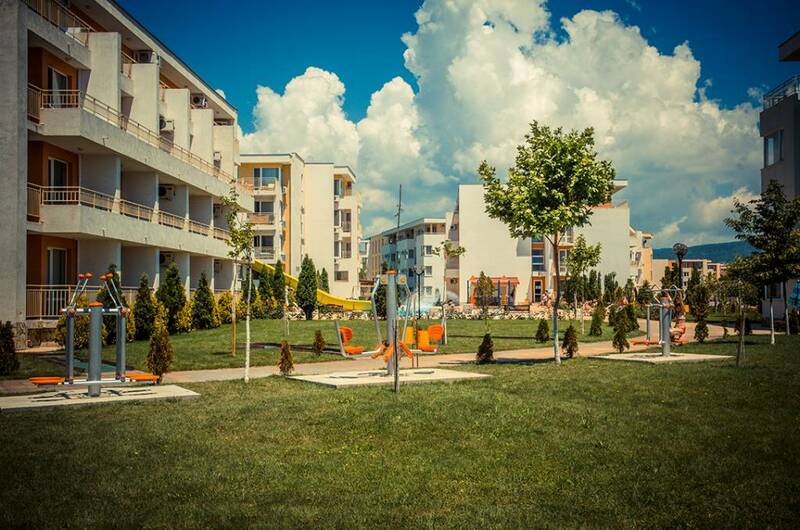 Nature lovers will enjoy the beautiful forest with walking lanes. 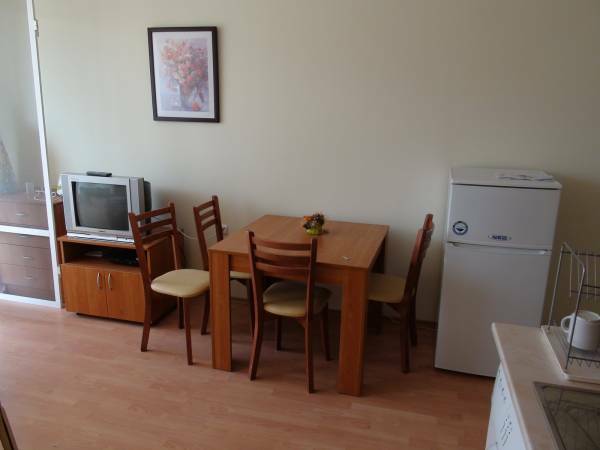 - Office – reception where all kind of services are offered. 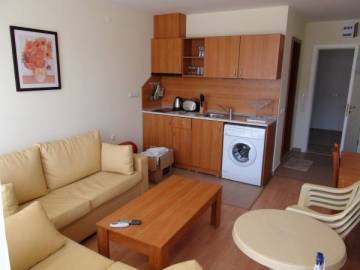 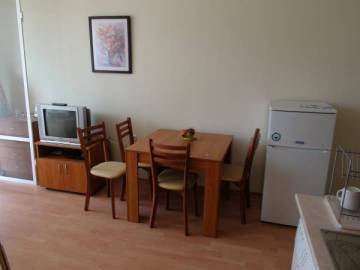 The property for sale is a new, modern and beautifully furnished apartment, which consists of a living room with a dining room and an open kitchen area, bathroom and a spacious balcony, which enjoys amazing views over the pool area and the mountains.